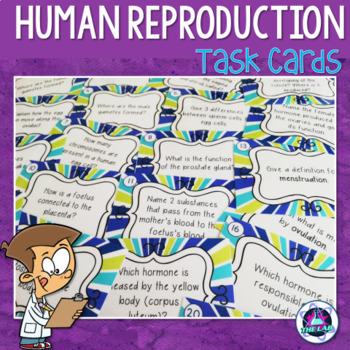 Set of 20 task cards to review Human Reproduction. These include a variety of activities – not just multiple choice! Just print, laminate and cut! I keep these in a file that students can “check-out” when they want to revise for an exam or test. They are perfect for small group work or as a scoot / circus activity. This set can be found as part of my Biology Task Cards Growing Bundle.